As signs begin to emerge that both emerging and frontier markets are in recovery with the MSCI Frontier Markets index gaining c. 13% since the beginning of 2017 after two sluggish years where the index lost 30% of its value between August 2014 and the end of 2016, Ali Khalpey is optimistic about the strong start to the year. He took some time to reflect on strategies for emerging frontier expansion. Now that Pakistan has been launched, what’s next for EFG Hermes Frontier? In parallel with opening our Pakistani office we started building our platform to rollout coverage of Pakistani companies. We now have an excellent Research team in place in both Pakistan and Dubai and we hope to initiate coverage of 40-50 companies by the end of September and hopefully reach c.75 by October. The next big milestone for us in terms of establishing a physical presence will be sub-Saharan Africa. 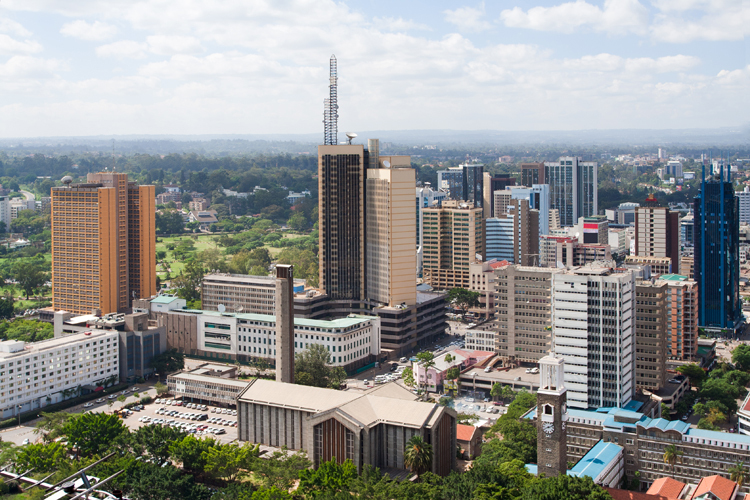 Right now we’ve completed the regulatory process and obtained the approval for our license to establish an office in Kenya – from which we’ll launch services in East Africa. Our third target for expansion will be Nigeria, which has been in the pipeline for a while. Improvements in the country’s macro environment with declining rates of inflation as the country gradually comes out of recession, may very well accelerate these plans. It appears as if there are a lot of good opportunities out there. How do you decide what countries hold the most potential? When deciding where to expand, we look for countries with large economies in terms of both people and value. Pakistan and Nigeria both have large populations of nearly 200 million people. Kenya’s population is at 50 million, but the country facilitates connections to an East African market as large as 190 million. We also look for markets with limited levels of financial penetration and even though it seems counterintuitive, but we also intentionally seek out markets with difficult operating environments and high barriers to entry, with limited transparency and limited liquidity. Our local expertise in a global context give us a strong competitive advantage in these challenging markets where we have the experience and insight that helps us to navigate the barriers. There’s no doubt that there are tremendous risk factors involved with investing in these markets and they’re not for the faint at heart but there are some great opportunities out there and investors are starting to wake up to the fact that they can achieve above average profitability with financial partners who are familiar with the landscape. So how do you go about minimizing your risk when establishing a presence in a frontier market? When we decide to enter a market, there are three important legs of the business that we seek to establish. First, we connect with the domestic investor base – consisting of institutional investors and high-net-worth individuals – and work to develop that base over time. As a global bank, we also start acting as a conduit for international clients seeking to enter the market, facilitating cross-border flows on the corporate side. The third element is that we look for inward investment from Asian or Gulf private equity who are looking at a country that we’re interested in. We also work with local corporates who have fully penetrated their markets and want to expand outside their borders. How will all of the movement and potential movement on Indices lately impact the way you look at your business? There has been a lot of movement on Indices so far this year. Argentina, for example, may be upgraded to the emerging frontier index in 2018, while Nigeria could be downgraded later this year. There’s lots of activity which could lead to additional shifts for many countries, including those that EFG Hermes is interested in. We’re keeping a close eye on elections in Kenya in August followed by Nigeria and Pakistan in 2018. As more clients move off the frontier index and on to the emerging frontier index, we look at our business and think we are more focused on smaller emerging markets. So I think one of the biggest questions for us right now is the relevance of the frontier market index. Does it end up being a Kuwait index now that Pakistan is out possibly followed by Argentina and Nigeria is downgraded? Is it relevant when it’s just Kuwait and Vietnam? Then there’s also the question of liquidity. 2015 was a very tough year for frontier markets with slight improvement in 2016 and more significant improvement in 2017 with some endowment funds allocating back into the market. As the CEO of EFG Hermes Frontier and someone with extensive experience working in emerging and frontier markets, what do you wish investors were asking you? I wish investors were asking what gives us a competitive advantage in our field. In my opinion, our edge lies in the team of high quality analysts who produce on-the-mark equity and macro analytics. We’re actively working to become the go-to research house in all of the markets we’re present in, and with the roll-out of MiFID II by 2018, I see great opportunities to monetize our research services and increase our share in client wallets. The wallet may be shrinking, but our goal is to get a bigger share of that pie.